And now he's gone forever. I didn't know Jay very well, but I did have the privilege of spending some time with him over the past few years—in local "co-working" writing groups, at a few different conventions, and once while waiting for our shared flight back to Portland (we talked about how home genome sequencing and "chemjet" drug printers could revolutionize medicine). We were both writers, and we were both born in Taiwan. That's about where the similarities end, but he was a wonderful person to know and an inspiration in many ways. I'll miss him a lot. 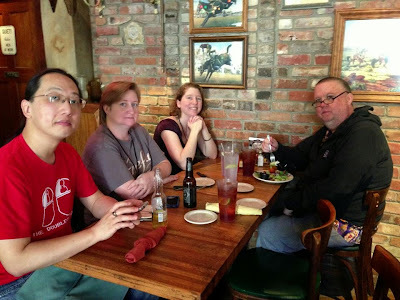 As a tribute, here's my own, somewhat morbid version of Link Salad, a frequent feature on Jay's personal blog, and from which I always gleaned something fascinating. A little bird told me — Twitter is awesome, in all senses of the word. In this case, it was good to know from the source sooner rather than later, but those four little words hit me with a sharp, deep pain. It was dark and cold that morning — on June 1st, the power went out in our neighborhood just after 4:30 AM, and stayed out until 5:45 AM, the same time as Jay's passing. It's meaningless. But it's a thing. I don't know. The Oregonian story on Jay's passing — longer than an obituary, but still too short. 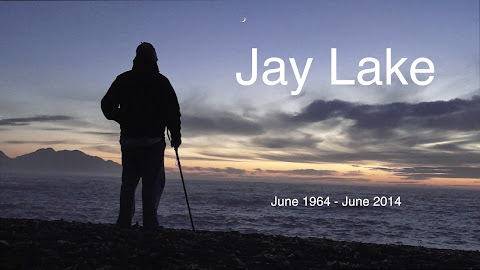 Remembering Jay Lake, 1964-2014 — a more SFnal perspective on Jay's life. Free Speculative Fiction Online: Jay Lake — read some of Jay's many, many, many published stories. Some of Jay Lake's books at Powell's — the greatest bookstore in the world. The Clayton Memorial Medical Fund — if you'd like to make a contribution in Jay's name, there are many other Pacific Northwest writers who are currently enduring or will someday encounter medical emergencies which strain their personal resources. Lakeside — a documentary by my friend Donnie, currently in post-production. The original concept was "a year in the life of Jay Lake," but after Jay's cancer diagnosis, the film morphed into something else. I want to see it, and I know I'm going to cry. It's okay. It's going to be okay.